Muscle and ligament strain. Strenuous activities such as heavy lifting may strain back muscles. Bulging/ruptured disks. Bones in the spine are cushioned by disks. The disks contain soft material inside them that may rupture or bulge affecting nearby nerves. Arthritis affects the bones which in turn lead to back pains. Irregularities in the skeletal structure. The spine may curve or bend to one side. This may result to the body developing back pains. Although back pains increase with age, studies have shown that they affect all age groups including children. Being overweight. Excess weight stresses the back. Lack of exercises makes muscles at the back rigid and weak, increasing the risk of back pains. 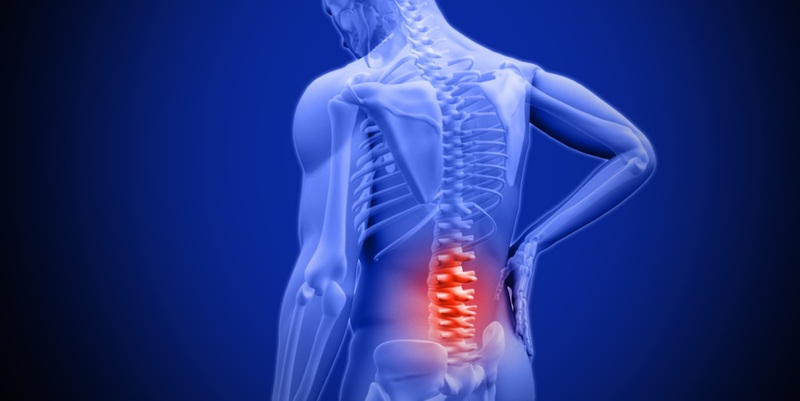 Diseases, such as cancer and arthritis contribute to back pains. People with psychological disorders, such as anxiety and depression have a higher risk of getting back pains. Maintaining proper body posture- walking right, sitting right and lifting right.